See Facebook event for more information. The seminar is open for all registered AKR and FIK members. This Wednesday, 19 December, is the club’s last training for 2018. We will be having an end of year/Christmas celebration after keiko at 8pm, somewhere in the university. We need to know numbers to cater for so please answer the poll below! Congratulations and thank you for all your support! Fujiwara Hironobu 7 Dan Kyoshi will be in Melbourne between the 17 and 22 Jan 2019. A final schedule will be forwarded shortly. Please also be reminded that the final VKR Keiko of this year will take place this coming Friday from 7:30pm at the Kenshikan. 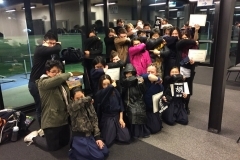 There will be an End Of Year Kendo training session at Kenshikan on Monday 31/12/2018 – New Year’s Eve – as per last year. The dojo will open at 10:30pm and then training will start before a small pause just before midnight to allow the participants to have a celebratory drink to usher in 2019 and then training will continue for about 45 minutes or so. After training has concluded, participants are welcome to remain to have a bite to eat and drinks as per last year….or should I say this year? Therefore people attending this event are encouraged to bring food, drinks, dessert to share with everyone. We hope you can make it! The VKR is developing the junior coaching module to fit in with the AKR coaching module. If interested, please submit your expression of interest with a brief description of the skills you can bring to the sub-committee by 15th Jan 2019. Here is the latest MUKC and VKR news. For more information on any items, please see a committee member. 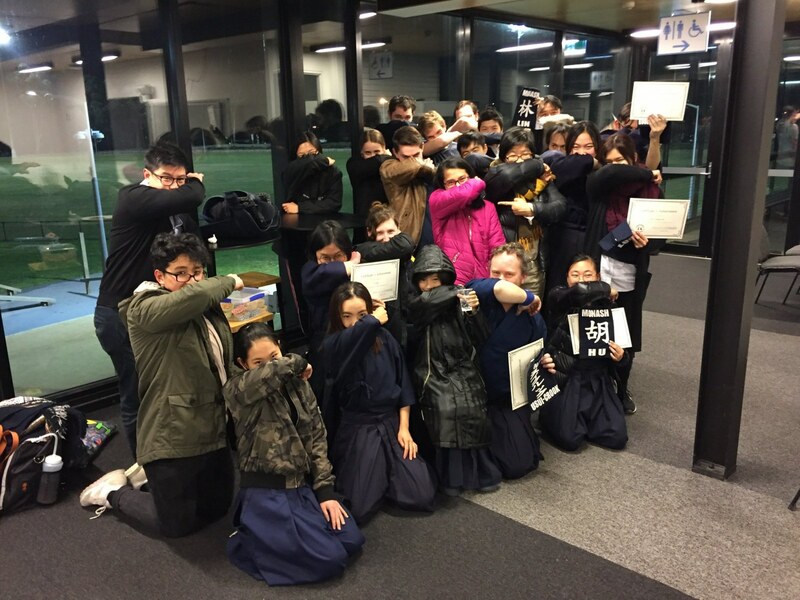 On December 2, the Victorian Junior Kendo Championships will be held. Further details will be sent out closer to the date. Please find attached the information sheet and entry spreadsheet for this year’s Junior Kendo Championships. It will be following a similar format to last year, however this year there will be no Bokuto Kihon event. If time permits there will be godogeiko to finish. Please read through carefully, especially the entry deadline. This must be adhered to as there is a lot to consider in creating the draw for this event. Shinpan Seminar Sunday 28 October, Kenshikan 1:00 – 3:00, for Kendoka 5 Dan and above. Once 5 Dan is attained kendoka are expected to be able to act as Shinpan-shunin, and in some circumstances Shinpan-cho, plus they may also be asked to act as shinpan in Kata competition at the VKC. 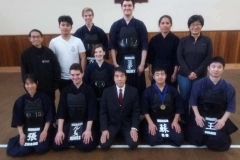 1 Role of Shinpan Shunin and Shinpan Cho: To be presented by Yano Sensei, this section will explore the various aspects of these positions with the aim of improving our understanding and performance in them. Please read Sections 22 & 23 of The Regulations of Kendo Shiai and Shinpan and Sections 18, 19 & 20 of the subsidiary Rules of Kendo Shiai and Shinpan. 2 Kata Evaluation Sheet: to be resented by Yakov Macak, we will continue to explore the development and use of the Kata Evaluation sheet in judging Kata Competition. Please wear keikogi and hakama and bring Rule book, notebook and pen. Please reply to macakcy@optusnet.com.au stating Name, Club and Grade to advise of your attendance or otherwise. 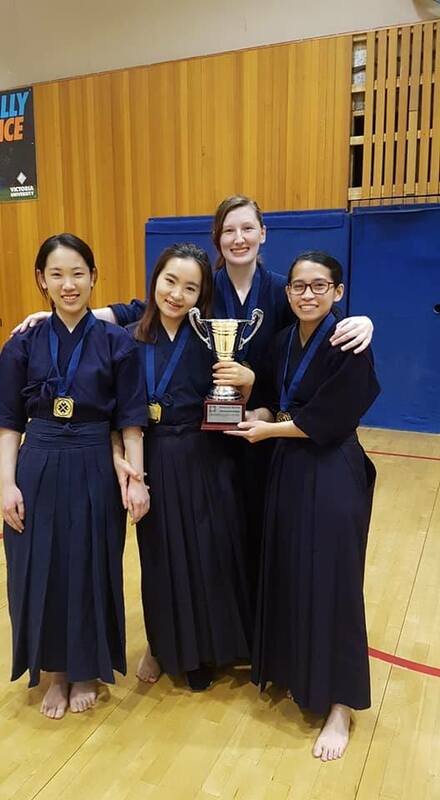 The 2018 UniSports Nationals Div 1 Kendo Competition was held on the Gold Coast on the 22-23rd September. 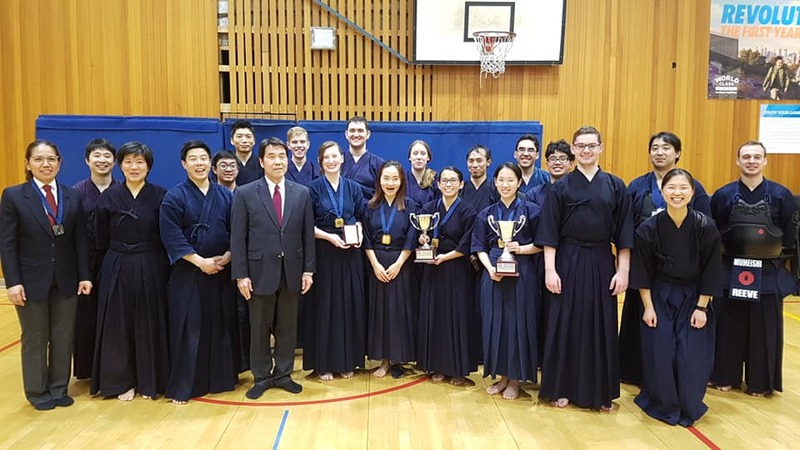 88 students consisting of 29 women and 59 men competed in the Kendo Competitions, representing 14 universities from across the country. Congratulations to the winners and award recipients! Next year’s UniSports Nationals Div 1 Kendo Competition will be held again at the Gold Coast in September 2019! See you there. We are very fortunate to have Miyasaka sensei, one of the founders of our club, joining us for the weekend as well Matsuda Isato sensei and Matsuda Michiyo sensei from Nara, our sister city in Japan. The weekend will focus on: juniors, techniques for instructing juniors, dedicated women’s session with Michiyo sensei, kihon and kata. The sessions will be for all levels from juniors to senior dans. There will be a dinner on the Saturday night and time scheduled for goodwill keiko sessions on both days with friends old and new. 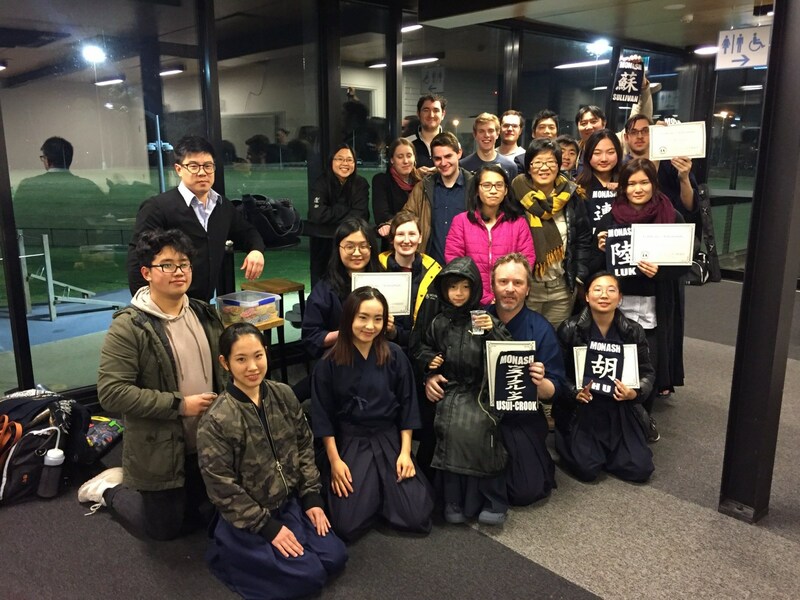 By contacting us at: anukendo-executive@anu.edu.au. The Mumeishi 3’s event is open to two teams per club. Each team is comprised of three competitors with a minimum of two and must include at least one kyu grade. The Women’s Individual Championship is open to all grades. We strongly suggest that each club field two teams in the Mumeishi 3’s to ensure this important event remains viable into the future. We request that people 4th Dan and above volunteer as Shinpan. Please email Jason Anderson at secretary@mumeishikendo.com.au by 30 November so that we can formulate our Shinpan roster. Our traditional free BBQ and drinks will be provided for all following the event. Uni Games trainings are open to Monash members only. Trainings may also be subject to change so keep an eye out for updates. 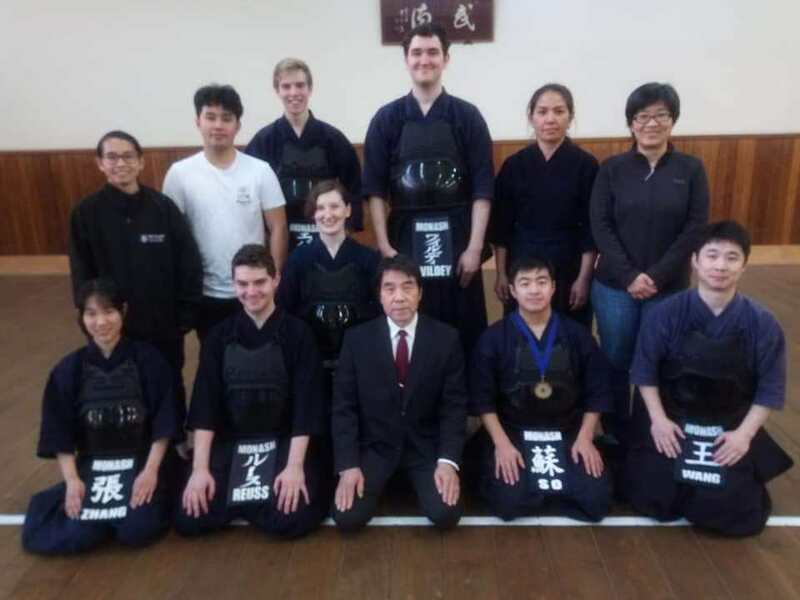 Ballarat Kendo Club Inc will be again hosting its Goldfields Kendo Taikai on Saturday, 10th November and would like to invite all AKR members to participate in this event. It will be held in the main gymnasium at the Eastwood Leisure Complex, Eastwood Street, Ballarat. Entries may be limited due to time constraints, with earlier entries receiving preference. All competitors in the Dan division will be expected to assist with shinpan duties for the Kyu grades. In this case, dress will be hakama and keikogi. Registrations will open at 9.30a.m on the day, with proceedings commencing at 10.30 a.m.
Sensei 5th Dan and above and non-competing volunteers will have their lunch provided. Thank you so much for your generous support of the national team. We have done our best to prepare for the upcoming World Kendo Championships in Korea, September 14-16. Now it is time for us to show the our supporters what we have prepared for the past three years! Tonight’s training will be in squash courts 8-10 as the games hall is unavailable. Thank you! 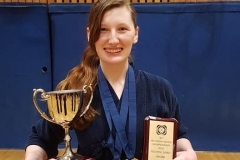 The upcoming Victorian Kendo Championships will be held on the weekend of 11-12 August. See the above document for more information. Draw will be published once they have been finalised. Good luck everyone! Firstly, Melbourne Budokai would like to thank all the VKR members who attended and/or helped out to contribute to a successful visit and seminar by Okada Sensei and our visiting senseis: Ito-sensei, Muraoka-sensei and Matsuo sensei. 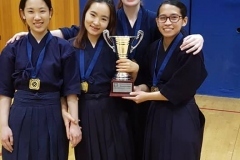 Secondly, the Victorian Kendo Championships are coming up on Saturday 11th and Sunday 12th August to be held at Victoria University, Footscray Park. As hosting club this year, Melbourne Budokai are requesting volunteers to help out on both days. No prior experience is necessary as experienced people will be there to help also. There will also be senior members acting as court managers to make sure the shiaijos run smoothly during the day. There will be a volunteer briefing/training/refresher for the shiaijo roles on Sunday, 5th August at approx. 1pm if you are available (but it is not compulsory to attend this training if you are confident with your prior experience). Please note that the time may change slightly, but if this happens, I’ll send out an update by email. Friday Night Set up – we also require hands for the Friday night – this includes transporting all necessary equipment to/from Kenshikan to the venue and setting up (e.g. putting down the tape for shiaijo and setting up tatami). Similarly, help will be required packing up the venue on Sunday after the championships. So if you are available and keen to help and learn about the running of a major event, this is a great opportunity. – Have you had prior experience volunteering? – Can you attend the Sunday, 5th August training? 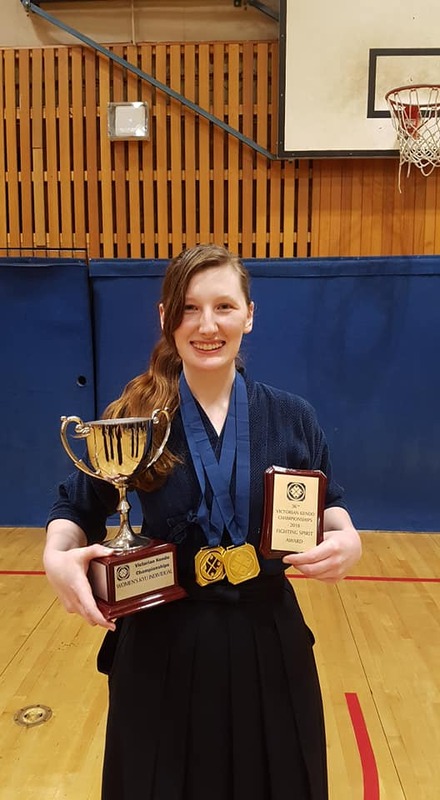 The Victorian Kendo Squad trainings for 2019 Australian Kendo Championships, Perth WA, will be starting soon. We would like to invite all eligible VKR members to consider joining this year’s squad, discuss your intentions with your club instructors, and fill in the online form attached to advise your intention to join. Please fill in the form by 19th August. The first training will be on Sunday 19th August, 1:00 – 3:30pm at Kenshikan. All other dates are as per the attached (please note, dates and venue are subject to change). We hope you can join us and make 2019 AKC another successful campaign for Victoria! For all our Australian Kendo Team supporters, family & friends who will be attending the WKCs in Incheon, South Korea in September, we have a great opportunity for you to join the Australian Kendo Team for a “Welcome” breakfast on the eve of the Championships on Thursday, 13 September 2018. Please see the attached letter of invitation. Please RSVP by Friday 10 August 2018 to confirm your attendance. Here is the latest MUKC and VKR/AKR news. Please see a committee member for more information on any items. The Otsuka Taikai commemorates the opening of the Kenshikan Dojo on the 15th of July 1990. The existence of the dojo would not have been possible without the generous donation made by Mr Kenshiro Otsuka and the Otsuka Family. The taikai will be held on Saturday 14th of July 2018. The two events, an Iaido Taikai and Kendo Taikai, are teams-based goodwill taikai. There will be an Iaido Taikai as well as a Kendo Taikai. Entry for competitors and spectators is free. A detailed schedule for the day will be provided at a later date. There will be pools comprised of teams of three. Each team will have two Kyu grades and one Dan grade (numbers permitting). The members of each team will be randomly selected so competitors in a team may not be from the same club. 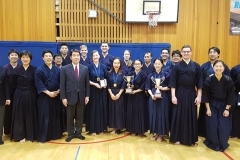 As the Iaido Taikai will be held in the morning, to allow for the selection of teams and the determination of the draw, competitors must pre-register their interest to compete prior to the day. Registrations for the Iaido Taikai will close on Friday the 29th of June 2018. Registrations can only be made by replying to this email kd.ventura17@gmail.com. Please include your current grade and club when replying and do not change the subject of the email. 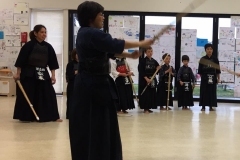 This taikai is for ungraded kendoka (in full bogu) up to and including 2nd Dan. Registrations for the Kendo Taikai will be taken on the day as it will be held after lunch. Therefore, to ensure that there is sufficient time to select the teams and determine the draw, competitors must register before 12:00pm on the day, Saturday, 14th of July 2018. Shinais will be checked that they’re in good condition when competitors register. 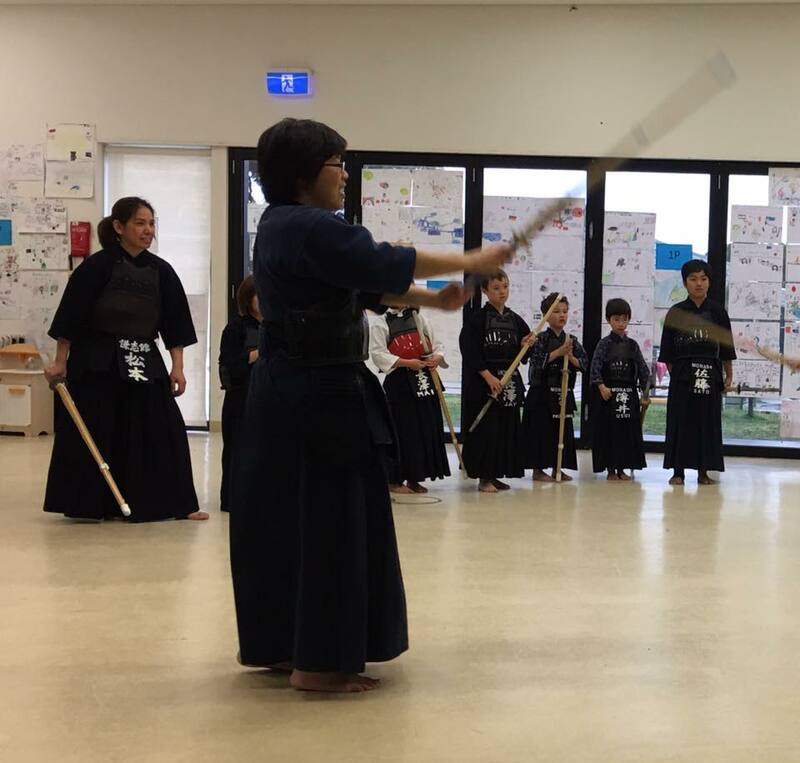 Senior Iaido members are requested to assist with shinpaning the Iaido Taikai. Kendoka 3rd Dan or above will be required to assist with shinpaning the Kendo Taikai. Please let me know by Friday the 6th of July 2018 if you are available to assist with the shinpaning of either taikai. The VKTC wishes to advise of the appointment of Kenji Sugimoto (5 Dan, MUKEN) as VKR Team Coach for the 2019 Australian Kendo Championships. Kenji leads a team consisting of himself as head coach, assistant coaches Takayuki Suzuki (5 Dan, MBK) and Kanako Harada (5 Dan, MBK) and Manager Andrea Ngai (1 Dan, MBK). We congratulate the Coaching Team on their appointment and looks forward to their success. As we finalise the details of this exciting seminar, we invite you to express your interest in attending so that we can better accommodate all expected attendees. Please fill in the attached Survey Monkey form by Friday, 15th June, 2018. After this date we will send details on the seminar cost, content and schedule. Open to: all AKR members (both genders). Limited to 10 places for logistics reason. Accommodation: Seoung Kyun Kwan University * cheap and quality accommodation. There will be a 6-day tour Kendo training & sightseeing tour in Korea after the 17th World Kendo Championships. 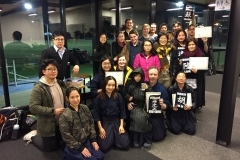 This is a wonderful opportunity to train with high-level Kendo teams in different regions of Korea, to meet new friends in Kendo, and to experience the beauty and culture of the country with an experienced guide and like-minded Kendo mates. To express your interest, please contact Choi sensei by Sunday 23rd June.